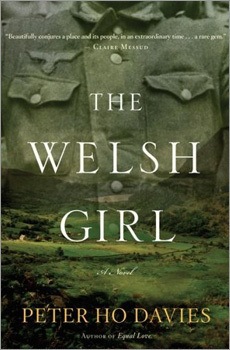 Set in the mountains of northern Wales during the months surrounding D-day, "The Welsh Girl" is a careful, deceptively simple novel of war and moral consequence: A 17-year-old barmaid and daughter of a shepherd befriends a German prisoner of war. How they each translate these ill-timed affections forms the ballast of the novel. What Davies manages to evoke in this straightforward tale, marked by irony and fate, is a beautifully wrought portrait of humanity under duress — held by the greater forces of land and time.